China is set to lead 5G development globally due to huge investment in research, network infrastructure and mobile technology, Shanghai Daily learned at the Mobile World Congress Shanghai today. One of highlights of the city’s biggest telecommunications fair held annually was that China Mobile, the world’s biggest mobile carrier, made the country’s first 5G call across multi-vendors based on SA (Stand Alone) technology with technical support from Ericsson and Intel. The telco will also start large-scale 5G testing nationwide this year with the aim of operating a trial 5G commercially in 2019 and fully launch the 5G service in 2020, Shang Bing, chairman of China Mobile, said during the opening keynote address at the event. Huawei Technologies said it plans to release its first 5G smartphone “as early as” June 2019. The Asia Pacific is predicted to boast 675 million 5G connections by 2025, putting it on track to be the world’s largest 5G region. Australia, China, Japan and South Korea will “pioneer the technology to lead upgrades”, said industry association GSMA in a report today. China is expected to issue 5G licenses around 2019 and 2020. 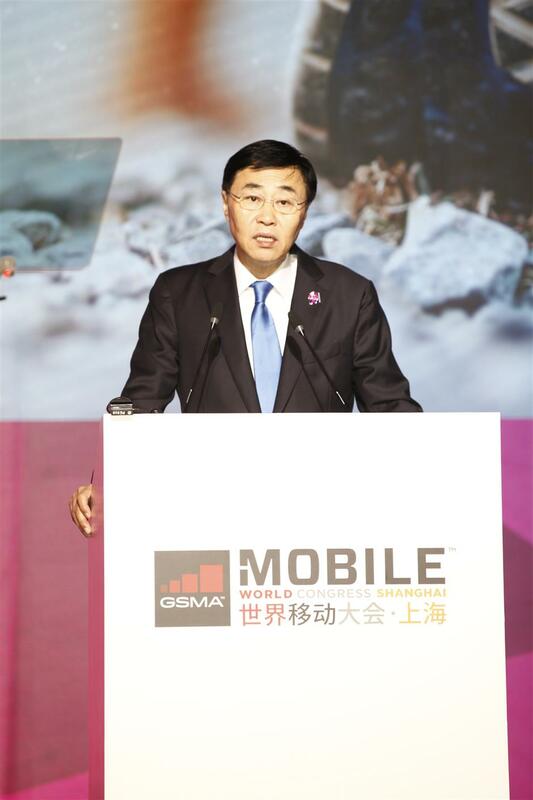 Shang Bing, China Mobile's chairman, talks about 5G strategy during Mobile World Congress Shanghai which opens today.